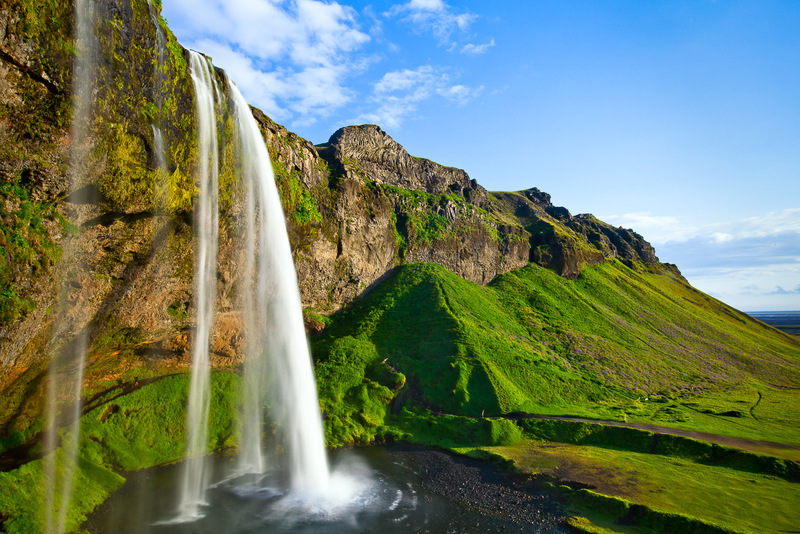 Seljalandsfoss falls is so dramatic you can just stand there and watch it for hours. This is a land of landscape jewels with greens never greener and blues that make you smile. Photo © copyright by Lance B. Carter.